5 Minute Walk to Town and Beach! *NOTE: The "Total Price" in the Instant Quote box includes your REFUNDABLE security deposit of $300, as well as 9% Maine State Lodging Tax and applicable fees. Cozy cottage on dead end road. Only 3/10 of mile to center of town. 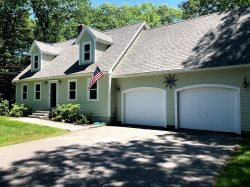 Walking distance to Main Beach & Marginal Way. Terrific backyard with deck, plus Outside Beach Shower. AIR CONDITIONED. Grill. Very,very cute!! Discount for additional weeks. Off-season available.